I don't know about you, but I've been having a spot of bother with Android Studio - the IDE we're using for your Mobile Development ACW in which we are building an app for Android. I thought I'd document some of the challenges I've encountered in the process of installing it and using version 3.0.1 on Linux - and issues I've seen in the University labs too. Disclaimer: This is by no means a complete list. Take advice from this list at your own risk! Additionally, any issues with the University lab machines must be reported to ICTD, whose email address you can find on your desktop background when you login. This issue is fairly trivial - it means that the Android SDK is probably not installed. There are two solutions here - download it through Android Studio itself, or, if you're on Linux, install the appropriate SDK package using your package manager. This issue is specific to multi-user machines upon which you are downloading the SDK that you don't have administrative privileges on. The solution? 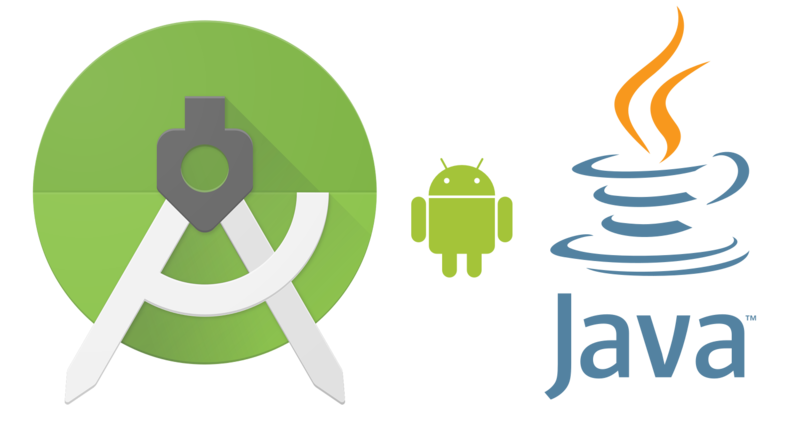 Create a new directory and specify that as the Android SDK path before asking it to download the SDK for you. This is probably because the SDK version specified in the Gradle file doesn't match the one you have installed. Updating this should resolve the issue. If not, then check the build tools version too. You can find the version it should be by opening the root of the SDK in your favourite file manager, going into the build-tools folder, and observing the name of the only folder in that directory. If you're on Linux, then it's likely that you don't have the Android Debugger installed. Find and install it with your package manager (it's probably called adb or similar). If you're on Windows, check that you've set the SDK path correctly. adb can also be found in the platform-tools folder of the SDK. Also make sure that you have execute privileges on the drive you installed the adb to. Other than that, I suspect that your installation of Android Studio might be broken, and require a re-install. I've has this one several times - simply press the update button when prompted (if you've got administrative privileges). I've found that the updates have made the emulator progressively more stable, so if you're experiencing issues, it's worth installing any updates it asks you about. Again, simply click the "add" button or whatever it is when prompted. Unlike the emulator update though, this is project-specific and doesn't require administrative privileges. Make sure that Hyper-V is turned off, as it's mutually exclusive with Intel's HAXM. If you experience any random compatibility issues when trying to open an existing project that was for an older version of Android Studio, delete the .idea folder and then open Android Studio again. The .idea folder actually just contains auto-generated files - none of which can't be replaced based on the rest of your project. To that end, I'd avoid committing it to source code control too. I've seen this a few times - and I think it might be an Intel HAXM issue. Try reading the solution above. I've seen many of these, but I ignore them as the external tools I use to manage my repository work just fine - and I've no desire to allow a complicated and opinionated IDE to take control over how I commit my code. If anyone knows how to disable the integrated SVN/Git support, I'm all ears! After updating Android Studio from 3.0.1 to 3.1, all the Android API calls in my code turn to unresolved references, despite dthe gradle build being successful! Once done, open Android Studio again and the problem should be resolved - once it's rebuilt all it's cache files, of course. That about concludes the list of issues I've seen and experienced. If you've experienced any of the above (or even a different issue) and found a different workaround, and then let me know below! Did a solution work / not work? Let me know too. Another reminder: I take no responsibility for any damage that might happen to your computer / project / work as a result of following this suggestions. Always have backups! Additionally, as mentioned above, if you're having an issue with the machines in the University labs, you need to let ICTD know by emailing the address on your desktop background. If you don't, then they won't know about the issue! This post, obviously, is not endorsed by Google or the Android Open-Source Project at all in any way. It's just my attempt to consolidate what I've learnt about it so far. I've been learning about Android development at University recently - this post is my attempt to consolidate what I've learnt. I'm by no means as confused as I have been in the past at similar stages of a module (take AI and compilers for example, though later on I figured it out). If you notice a mistake, please do let me know by posting a comment below, and I'll correct it. Note that this post isn't meant to be a complete tutorial on the subject - just to consolidate what you've already learnt (or guide your learning if you're just starting out). I'd recommend taking a course at University, or reading an tutorial on the web on the subject. Android apps, unlike a regular C or C# program, are made up of one or more activities. They don't have any particular entry point, such as the main method of a C or C# program - instead an activity is selected as the one that should be launched when the user taps the icon on their home screen. Other entry point to the app are possible too - for example services (persistent background processes) and scheduled tasks (broadcast receivers I think). Other apps can even launch your app's activities themselves! An activity is like a single screen - it's job is to perform a single, focused task. For example a contact list, or a contact details screen. When an app is launched, a new 'back stack' is created - into which new activities are inserted. It's this mechanism that makes the back button go back to the contacts list from the contact details screen when you press the back button on your phone. Activities can choose to launch an activity in a ne back stack if they want - though I think this only implies to implicit intents (more on these later) that target activities in other apps. Intents are used to instruct Android as to which child activity a parent activity would like to launch, and to carry data (serialised to a string) around between activities. There are two kinds: implicit and explicit. Explicit intents are useful when you know the exact name of the intent that you want to launch (their names are like C&sharp; namespaces I believe). They are most useful when you want to launch another activity that's part of your app (or an extension or your app I suppose). Implicit intents are used when you know what kind of app you want to launch, but not what it's called. Examples of this include selecting a contact from the address book, opening a URL in a web browser, and pre-filling an email or text message for the user to send. Fairly simple, right? Unfortunately, this is complicated by 2 things: a large number of Android versions (or API Versions) in use currently (I think Google are working on this long-term), and fragments. Fragments are like mini-activities. Multiple fragments can be displayed at once, and can be detached / reattached to and from the screen by way of the fragment manager. This is most useful for tablets and other devices with larger screens - An activity can dynamically fetch multiple fragments and display them at the same time. Sticking with the address book / contacts theme, on a tablet one might have the contact list down the left-hand-side of the screen, and the details of the currently selected contact down the right-hand-side of the screen. The activity is responsible for shuffling messages around between fragments (or other activities) - fragments should be completely self-contained and shouldn't be aware of other fragments that may or may not be displayed at the same time as it is. From what I can tell, the Android ecosystem has plenty of structure to it. It's (in theory) easy to put together an app even if you haven't written any Java (I can see how Java is said to be C&sharp;'s predecessor) before - especially with the assistance that Android Studio provides, though it does feel somewhat heavy-handed and opinionated at times. I suppose any sufficiently advanced IDE carries considerable risk of being opinionated. I anticipate, going forwards, that the real problems will start to occur when I start considering compatibility between different Android API versions. Thankfully, I've got experience dealing with web browser compatibility issues, so I'm hoping that Android won't be much more problematic than that - especially since everything appears to be well-documented as to which API versions they were introduced / deprecated in.